This will be the last hurrah before 2019. For the Rahul Gandhi-led Congress, winning Madhya Pradesh, Rajasthan and Chhattisgarh is the one last chance to salvage its status as a credible, national-level opposition to the BJP. But unlike filmmaker Manmohan Desai of the 1980s, Rahul Gandhi is clueless about a winning formula. 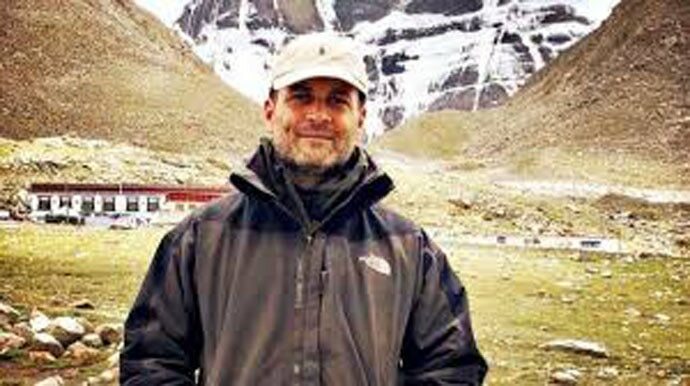 He has been to temples, mosques, even Kailash Mansarovar, criss-crossed thousands of kilometres, held road shows and public rallies without getting a clear clue if his party is winning Madhya Pradesh, Rajasthan or Chhattisgarh. The in-house pollsters have, however, given him a glimmer of hope. Three poll surveys conducted by professional hands and in-house managers have given Congress a clear majority in the central and western Indian states. In bravado, Rahul junked the idea of a grand alliance or a mahagathbandan in these three states, opting for a high risk ‘winner takes it all’ approach. The Congress president is of the view that unless his party wins the three — or at least two — of these states on its own strength, the 2019 Lok Sabha contest will end up as a one-horse race. A good showing in Telengana, and retaining Mizoram, would, of course, be a bonus. Winning MP, Rajasthan and Chhattisgarh is crucial for the Congress not just in terms of victory, but for its very survival. The Congress’ political presence in big states like Uttar Pradesh, Bihar, Bengal and Tamil Nadu is negligible. It is part of coalition politics in states such as Karnataka, Jharkhand, J&K, Kerala, Telegana, Assam, and Maharashtra. It has lost political relevance in Andhra Pradesh, Delhi, Odisha and some north-eastern stares. A victory in MP, Rajasthan and Chhattisgarh will, therefore, not only boost the morale of a beleaguered Rahul, but showcase the party as one capable of taking on Narendra Modi and as a national alternative to the BJP. The Congress now needs to field candidates who are capable of winning elections. This is one area where the party lacks confidence, or a fool-proof technique. Having been out of power both at the Centre and in states (except for poll-bound Mizoram), the Congress does not have any feedback from intelligence agencies, police or the bureaucracy (it is a different matter that projections and feedback from the Intelligence Bureau tend to be highly unreliable and inaccurate). Rahul is in a fix about whether to implement the old practice of “setting –getting”, or fielding sitting MLAs of the outgoing Assemblies. At the constituency level, there is a trend of anti-incumbency. In the absence of a clear, empirical exercise, the option of fielding a sitting MLA is fraught with dangers. On the other hand, denying ticket to a seemingly unpopular incumbent has its own hazards, as caste equations and the inability to measure the exact amount of disillusionment against the MLA can be risky. These are the perils of parliamentary democracy, where the leader faces a real danger of regretting his decisions at leisure, and warming Opposition benches endlessly. The Congress also has a history of according importance to its regional satraps and giving them a decisive say in ticket distribution and selection of party nominees. Here too, Rahul faces Hobson’s choice. Ignoring the advice or recommendations of Jyotiraditya Scindia, Digvijaya Singh, Kamal Nath, Ashok Gehlot, Sachin Pilot or Motilal Vora is easy for Rahul, but in the event of adverse results, would he be able to own up responsibility and hold himself accountable? For the uninitiated, it may be mentioned here that since the time of Sonia Gandhi, the Congress’ central election committee has maintained a practice of recording the recommendation, or the party president’s observation, in favour of a selected candidate. These paper trails are not made public, but are certainly available to influential Congress leaders, including central election committee members. Congress insiders say that at least on one count, Rahul has been far more successful than mother Sonia Gandhi, who holds the record of being the longest-serving AICC chief. Rahul has been remarkably successful in striking a balance among regional satraps. In Rajasthan, for instance, the party chief has been successful in getting the best from both Ashok Gehlot and Sachin Pilot. 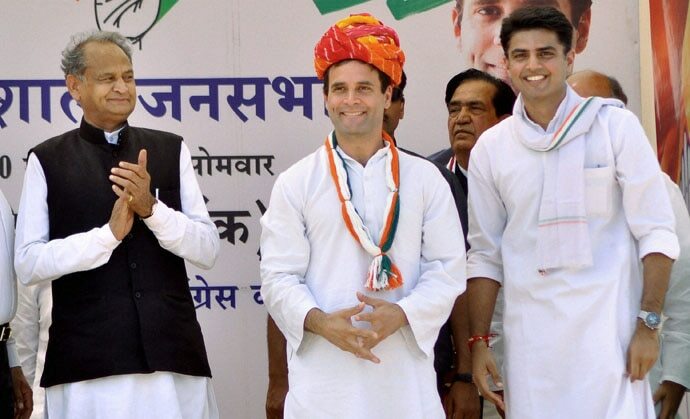 In Madhya Pradesh, his childhood buddy Jyotiraditya Scindia has teamed up well with 71-year old warhorse Kamal Nath. 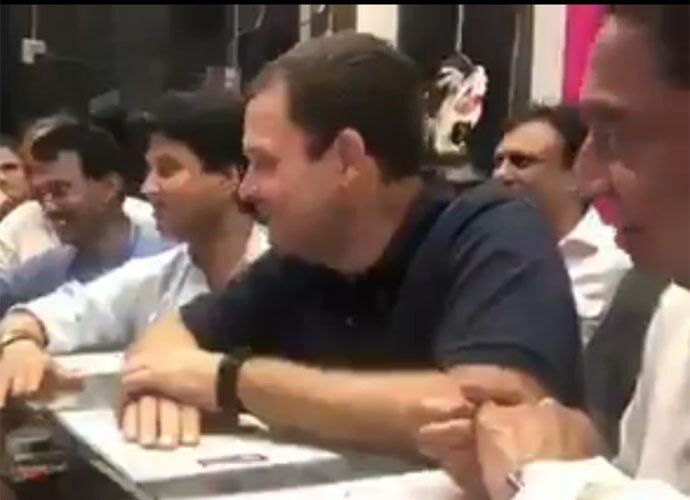 Pilot is often seen offering pillion rides to Gehlot on his motorbike, while Scindia is seen having ice cream with Nath. The body language among competitors is one of ease. In Chhattisgarh too, Rahul has succeeded in making all regional players, such as Bhupesh Baghel, TS Singhdeo, Charan Das Mahant and Ravindra Choubey, cooperate in the electoral contest. While in-house revolts and factionalism is minimal, the issue of outsiders, defectors from other political parties, members of NGOs, former bureaucrats, farm sector leaders, etc. knocking at the Congress’ door for party nomination has provided a problem of plenty. In addition, new political parties are mushrooming. As per the Election Commission, 58 new parties have been registered between June and September this year. A report in The Hindu says that eight of the new entrants are from Rajasthan, five from Telangana, three from Madhya Pradesh and one from Mizoram. While it is unclear how many votes outfits such as the Samanya Pichhada Evam Alpsankhyak Varg Samaj (General, Backward and Minority Welfare Society), better known as SAPAKS Samaj — an organisation born out of opposition to the reservation policy in jobs, promotion and education — and Jai Adivasi Yuva Sangathan (JAYS) would get in Madhya Pradesh, but there are reasons for Rahul to worry about rise of ‘vote-katua” (voter splitter) parties and individuals.